Golden Tiger is a member of Prima Poker Network and offer a great line up of tournaments which include Freerolls and major casino satellite tournament sessions. 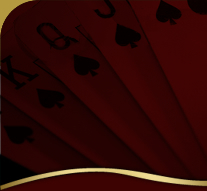 Golden Tiger Poker is part of the casino rewards group and offer games such as Texas Hold’em, Omaha Hi, Omah Hi/Lo, 7 Card Stud, 7 Card Stud Hi/Lo and Omaha 8 or better. Golden Tiger Poker offer a worldwide 24/7 customer care service via email and a number of toll free numbers. Golden Tiger Poker is licenced by the Kahnawake Gaming Commission and was founded in 2002. Golden Tiger Poker offer a 50% Match Bonus up to $200 free for new players. They also have an online poker loyalty program whereby players will build up their credit while they play.